I’m always searching for apps to entertain my son. Especially when we’re out and about. It’s one of the easiest ways to keep him occupied, so he doesn’t get bored. I recently downloaded for FREE (yes, free), My Dolphin Show onto my iPad. My Dolphin Show is targeted more towards girls, but my son has never been taught/told that things were only for girls/boys. His favorite color was pink when he was two, now at ten, it’s black. I know, black? Really? Besides, it a dolphin and I don’t know what girl or BOY who doesn’t love dolphins. My son now thinks being a dolphin trainer might be a cool job to have — I’m thinking he may be right. I love that it is kid-friendly with no in-app advertising. Nice. You start off with training sessions so you can teach your dolphin basic tricks. Then as you progress through the game your dolphin (or other upgraded characters) performs shows where the tricks get… trickier. 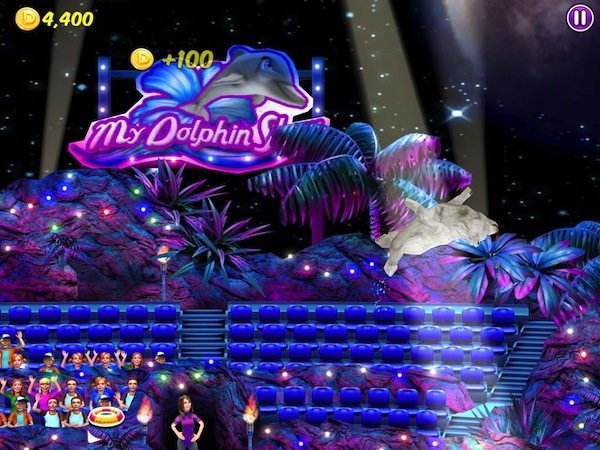 You earn points and with your points you can buy outfits to dress up your dolphin in cute costumes or upgrade to other creatures. My son’s favorite is the alligator, mine is the polar bear. The outfits and characters are more than just cute they each have attributes that help with airtime and speed. My son is very smart about this, so he can get the best outfit or character in which to beat his Mom. Hey, it is quality bonding time. 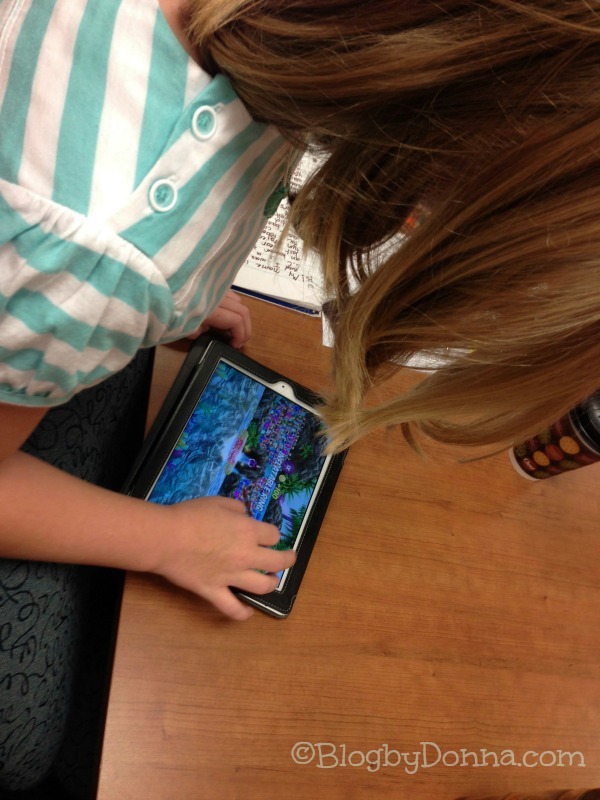 He had an early Student Council meeting last week and I took my iPad in so he could play it before the meeting started and his friend “S” got to play for a few minutes. She really liked it, and I promised her that she could play it longer next time. Although, my dear friend “S’s” mom can download it herself. We’re not the only ones who think My Dolphin Show is fun, with over 2 million installs already, a lot of other kids are having fun, too. Confession: I love this game! I think it would be a cool job to have, too, being a dolphin trainer. But since that probably is not ever going to happen, I’ll just put on…. MY own dolphin show. My daughter will love this app. She’s always searching for more! This looks like fun! I got to have my son check it out! I ventured over here to check out your Halloween post but got distracted by your app review! My daughter is always asking for new games, but favors the same old dress up and makeup ones. This one sounds great! I’m going to check it out now! I’m glad you did! 🙂 I think your daughter will love My Dolphin Show, Corinne! Sounds like an app I would love. I always wanted to be a dolphin trainer. This looks like something I would like to play, lol! My son is five…I wonder if he could play it. As much as I love dolphins, this looks like such a fun game! Can I play too? 😉 I actually have a few kids I know that would love this. I was thinking what you were thinking. They need to just download the game for themselves. Love the rewards when you learn tricks. Fun! Woot! 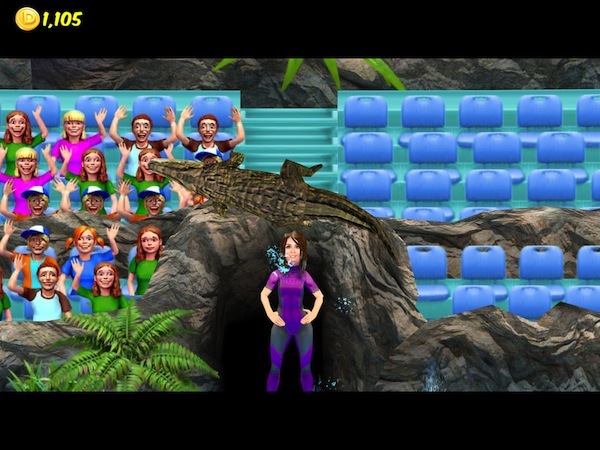 It’s like a Virtual SeaWorld where you get to be the trainer – how cool is that?! Downloading this now for my daughter to play tomorrow. Looks like a fun app! We love dolphins! Looks like such a fun app. My kids would love it. Oh my goodness, how did I not know about this app? My daughter is CRAZY about dolphins. This is super-uber neat! Thanks, I will have to download this for my daughter! We have a long plane ride ahead of us…. Sorry, I believe in old school. Finding apps online for children is um NO!!! They need hardly any screen time. My sona nd i love dolphins and seeing them live is so expensive,time consuming and travelling there takes long time,but all available on ipad is great fun for all family in one place anywhere. This looks like a good app that I should download so my grandkids can play it when they come and visit. They are 7 and 8 years old and I know they will enjoy it. Oh how fun this looks like a lot of fun!! I know my niece would love to play this! My grands would love this ! What a fun game! My kids love dolphins so I bet they would really enjoy this game. My 3yo would love this. We went to Hawaii last year and she kissed a dolphin. We have a picture of it and it’s the best picture ever. My 4yo on the other hand is scared of dolphins. 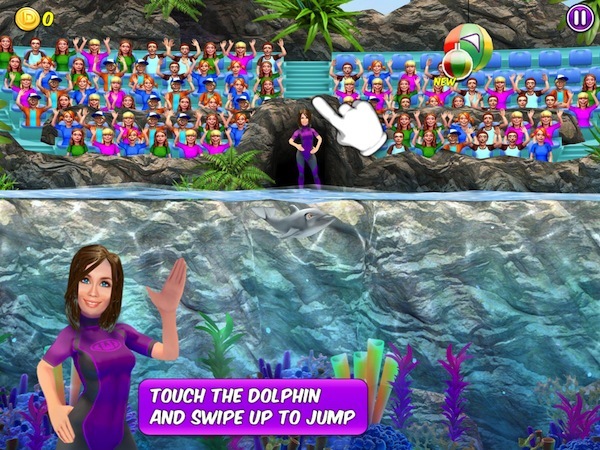 The Dolphin Show app looks really cute. I think my daughter might like it. I know it looks more like a girl’s app, but I bet my youngest son would really like it. 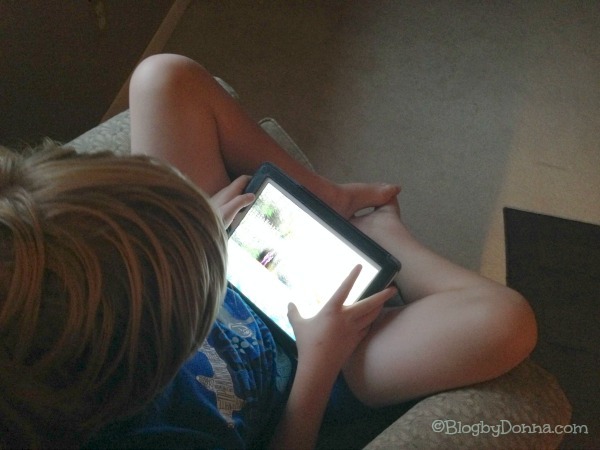 My kids love iPad games — and they would ADORE this dolphin game. This app looks like a lot of fun! I’ll definitely have to add it to my list of apps to try out! Hey, I love Dolphins! How fun! I bet my son would love this, he’s been obsessed with dolphins & whales since our trip to Sea World this summer.